For those who remember the early days of craft brewing, distilling, and cider-making in Colorado, here’s another spiritous milestone to note: The state’s first sake tasting room is opening in Denver this weekend, selling pours and bottles from its on-site brewery. 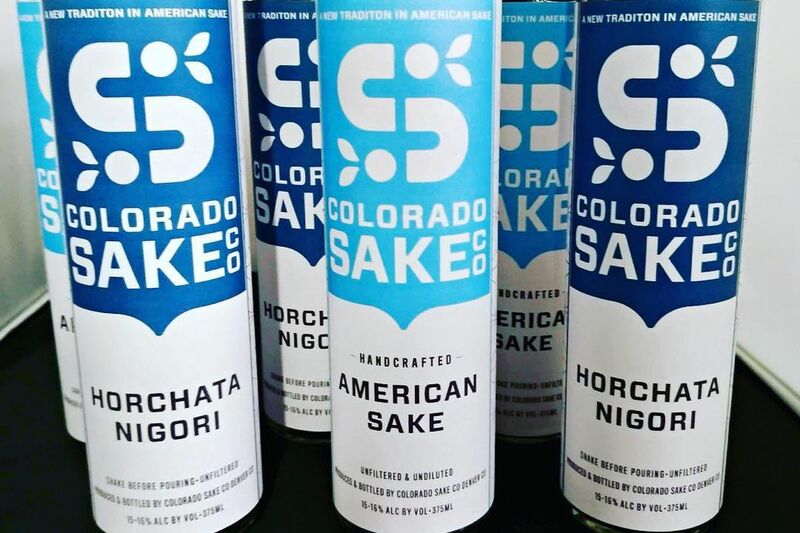 Colorado Sake Company starts pouring this Saturday at 3559 Larimer Street in RiNo. For its opening, owner and brewer Billy Stuart is offering six types of the drink, including an unfiltered Palisade peach nigori and a clean and classic “American” junmai, not quite as dry as its Japanese inspiration. Stuart had some time to prepare for this moment; for the last couple of years, he’s been working at local sushi restaurants, studying up on sake, and procuring yeast from Japan. He has experimented with koji, a fungus that is to sake what malted grain is to beer. He combines the koji with yeast, water, and rice and ferments it at 50 degrees. A longtime home brewer, Stuart started making sake by taking over his shared house refrigerator. But until earlier this month, he and other Colorado sake makers weren’t allowed to brew and serve alcohol under one business roof like their beer, wine, spirit, and cider counterparts. “Everybody told me, ‘Don’t try to rewrite the liquor code,’” Stuart says. He worked with a local legislator to have sake regulated and sold just like wine in Colorado. The law passed in April and took effect August 8. Now Colorado Sake Company is the first local business to open its licensed sake brewery and tasting room. Opening at 4 p.m. Tuesdays through Saturdays, Colorado Sake will sell full and half glasses, flights, cocktails, bottles, six-packs, and growlers. In addition to the classic junmai style and peach nigori, Stuart has created an horchata nigori and a dry-hopped sake. He’ll change styles according to the season and pay attention to customer feedback. Different food trucks and restaurant pop-ups will provide sustenance for drinkers. And the best part? “It’s very clean, so you can drink and not feel terrible the next day,” he says. For more local sake, keep an eye on Gaijin 24886, which will also open a brewery and tasting room.